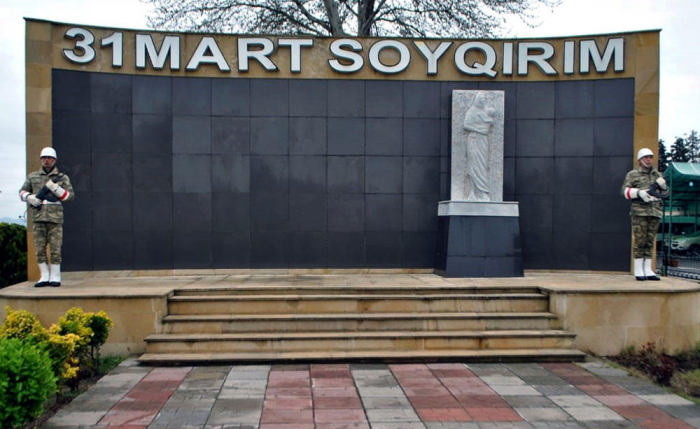 The Azerbaijani army held a number of events in connection with the 101st anniversary of 1918 genocide of Azerbaijanis, the Defense Ministry reported. Local executive authorities and public structures held remembrance events in the Combined-Arms Army, Army Corps, formations, military units and special military educational institutions. The military personnel attended classes on socio-political training, roundtables, conferences, training sessions and other special events held in the military units. The exhibitions of books, photographs and pictures were organized, as well as documentary and feature films on genocide were shown.